CnetSDK .NET Barcode Scanner SDK is fully built in C#.NET. It can be used to add highly accurate and mature barcode scanning & reading features into a .NET project. And this online VB.NET tutorial is written to help VB.NET developers to efficiently integrate and use CnetSDK .NET barcode reader library dll. Mature .NET APIs and free VB.NET code demos for linear & 2D barcodes reading & recognition are provided. It is quite simple to integrate .NET barcode reader library dll into your VB.NET project. Just add your VB.NET project reference to CnetSDK.Barcode.Scanner.Trial.dll. CnetSDK.Barcode.Scanner.Trial.dll is under the folder Library in the download free trial package. For the free trial package, you can use all bar code scanning and reading features in your VB.NET project. But note that, the first data value of each barcode will be recognized as CnetSDK*. CnetSDK .NET barcode reader library trial package can only be used for testing purpose. To get all encoded value recognized, please buy a license for CnetSDK .NET Barcode Scanner SDK. CnetSDK .NET Barcode Scanner & Decoder allows VB.NET developers to load an image from String, Stream, and Bitmap by using nine mature .NET APIs. And no matter how many barcodes on your image source, our .NET barcode scanner & decoder can read and decode them all. Certainly, you can use .NET APIs to tell barcode scanner library to read only the one barcode type from an image source. If there's only one barcode on your image, you can improve barcode reading accuracy using the third group of .NET APIs. Please see all mature .NET APIs as below. For your VB.NET barcode scanning project, choose the suitable one.
' API for all barcodes reading & decoding from Bitmap object.
' API for all barcodes reading & decoding from Stream object.
' API for all barcodes reading & decoding from an image file on the disk.
' API for one barcode type recognition from Stream.
' API for one barcode type recognition from a local image file.
' API for the only barcode scanning from Bitmap. It improves barcode decoding accuracy.
' API for the only barcode scanning from Stream. It improves barcode decoding accuracy.
' API for the only barcode scanning from a local image file. It improves barcode decoding accuracy. For your reference, CnetSDK.com offers VB.NET demo code for how to read and recognize all barcodes from an image source, VB.NET demo code for how to read and recognize one barcode type from an image source, and VB.NET demo code for the only barcode decoding. As for the second example, a certain barcode type recognition using VB.NET programming language, we take 2d barcode QR Code as an example. And for the last one, it can improve the accuracy of barcode decoding. 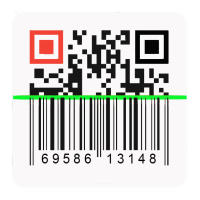 We also provide C# demo code for linear and 2d barcodes recognition. Please see online C# tutorial here: Visual C# Sample Code for 1D & 2D Barcodes Reading & Decoding. Guess you may use these search queries to find our product, such as vb.net barcode scanner, barcode reader vb.net, vb.net barcode recognition, vb.net barcode recognition from pdf, .net barcode scanner library, .net barcode api, .net barcode library open source, .net barcode scanner example, .net barcode reader component, .net barcode reader library, .net barcode reader free, .net barcode reader dll, .net barcode reader sdk, vb.net barcode reader sdk, barcode decoder software, barcode recognition system using image processing, barcode decoder from image, barcode decoder online free, barcode recognition online and so on.